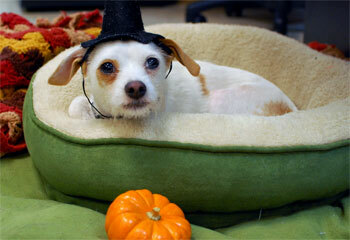 Halloween and Pets: Tricks or Treats? Halloween is here again! Concerned parents know how to keep little trick-or-treaters safe, but what about the furry members of the family? Halloween can be a scary and dangerous time for pets—who also need someone looking out for their safety. Candy: Sharing Halloween candy with siblings and Mom or Dad is a good thing, but not with the pet. Chocolate in all forms can be very dangerous for dogs and cats, as can the artificial sweetener xylitol (this is found in candy and even some peanut butters, so read labels carefully). Tin foil and cellophane candy wrappers can be hazardous if swallowed. If you suspect your pet has ingested a potentially dangerous substance, please call your veterinarian. Safe room: Keep your pet in a closed room away from the front door of the house. This ensures your pet will not leave with a band of trick-or-treaters or partygoers, and also reduces the stress that occurs when so many unusual visitors come calling. IDs, please! Always make sure your dog or cat has proper identification. If for any reason your pet escapes and becomes lost, a collar and tags and/or a microchip increase the chances that he or she will be returned to you. Dressing up: Please avoid dressing up your pet unless you know he or she loves it and is comfortable. Costumes should not restrict the animal’s movement or hearing, or impede his ability to see, breathe or bark. Be careful of small, dangling, or easily chewed-off pieces on the costume that your pet could choke on. Have fun but be humane – take a few photos in costume, then remove it. Keep cats in: Cats, especially black ones, should be kept inside all night long due to poor visibility and increased traffic outside. Watch flames: Be sure that that open flames (like candles or Jack-o-lanterns) are out of the reach of pets and kids. Pets can easily knock over a lit pumpkin and cause a fire. Curious kittens especially run the risk of getting burned or singed by candle flames. Decor: Keep any special decorations (such as fake cobwebs) high enough off the floor so your dog or cat won’t eat them or get entangled in them. Harvest bounty: Popular Halloween plants such as pumpkins and decorative corn are considered to be relatively nontoxic, yet they can produce gastrointestinal upset should pets ingest them. Intestinal blockage could even occur if large pieces are ingested, so keep your harvest bounty out of reach or keep an eye on pets around these plants. Cord watch: Keep wires and cords from electric lights and other decorations out of reach of your pets. If chewed, your pet could experience damage to his mouth from shards of glass or plastic, or receive a possibly life-threatening electrical shock. Up to and through Halloween, dogs, cats and other pets who happen to be black, along with all the other colors of pets, will still be available for adoption at OHS. OHS Humane Investigators assure everyone that there are no special problems for black cats being adopted during this time of year. OHS’ adoption procedures and policies are in place to make sure that all animals go to loving homes. © 2019 Oregon Humane Society. 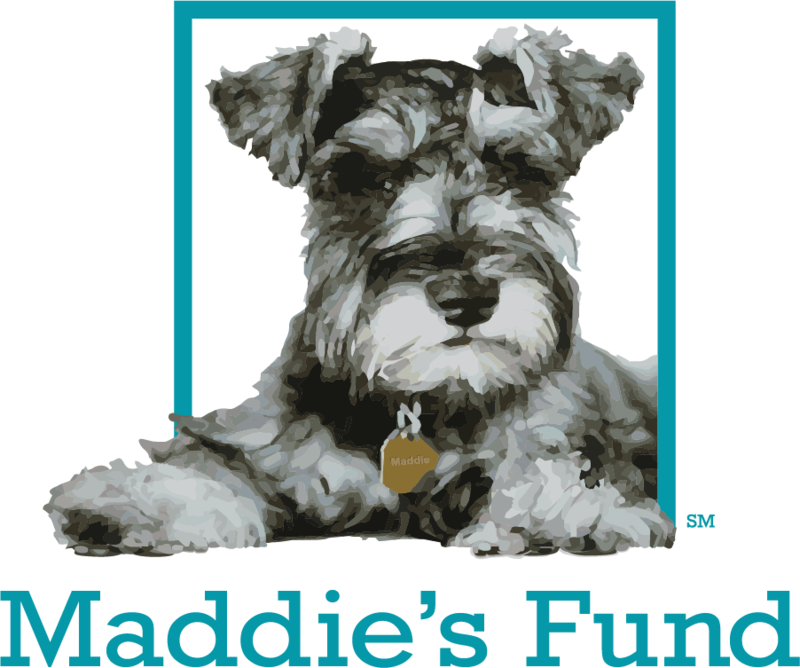 Oregon Humane Society is a proud recipient of funding from Maddie’s Fund®, #ThanksToMaddie.